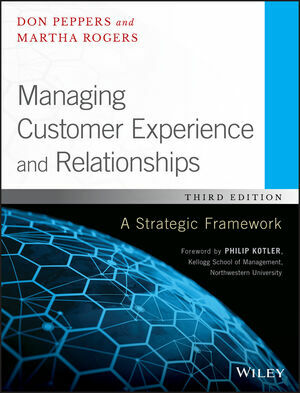 Managing Customer Experience and Relationships, Third Edition positions the customer as central to long-term strategy, and provides essential guidance toward optimizing that relationship for the long haul. By gaining a deep understanding of this critical dynamic, you'll become better able to build and manage the customer base that drives revenue and generates higher margins. A practical framework for implementing the IDIC model merges theory, case studies, and strategic analysis to provide a ready blueprint for execution, and in-depth discussion of communication, metrics, analytics, and more allows you to optimize the relationship on both sides of the table. This new third edition includes updated examples, case studies, and references, alongside insightful contributions from global industry leaders to give you a well-rounded, broadly-applicable knowledge base and a more effective CRM strategy. Ancillary materials include a sample syllabus, PowerPoints, chapter questions, and a test bank, facilitating use in any classroom or training session. The increased reliance on customer relationship management has revealed a strong need for knowledgeable practitioners who can deploy effective initiatives. This book provides a robust foundation in CRM principles and practices, to help any business achieve higher customer satisfaction. Sustainable success comes from the customer. If your company is to meet performance and profitability goals, effective customer relationship management is the biggest weapon in your arsenal—but it must be used appropriately. Managing Customer Experience and Relationships, Third Edition provides the information, practical framework, and expert insight you need to implement winning CRM strategy.